If Christmas had a smell, it would smell like a gingerbread latte. I wait all year for the red cups to arrive in Starbucks so I can finally get my paws on a gingerbread latte and when they disappear in January I go into a prolonged period of mourning. This year I started thinking about buying the syrup so I could make my own at home all year round but I decided it would take some of the sparkle out of the whole thing, like chaining up Santa on the roof and forcing him down the chimney every weekend. 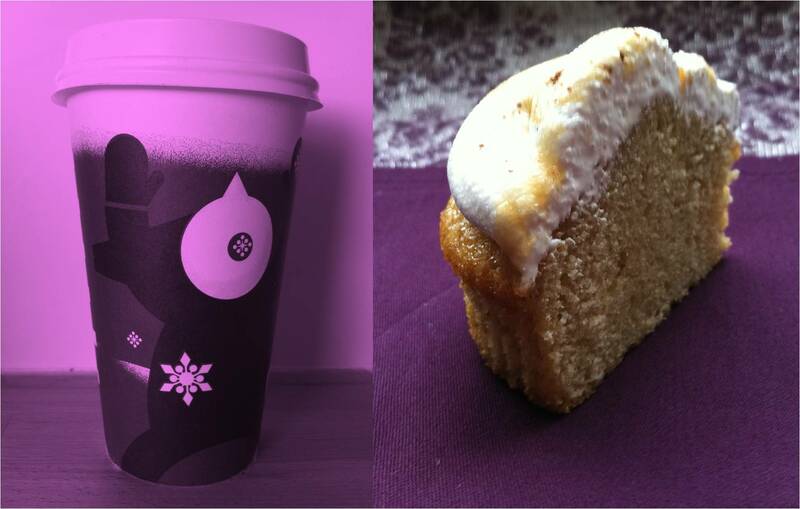 While I was pondering this criminal master plan, I came up with the idea of making a gingerbread latte cup cake instead. One that would pay tribute to the original drink in its different elements, but translated into an edible cake that would happily go side by side with a normal old cup of coffee on an un-christmassy and dreary afternoon. So although its already February and very nearly March, I decided it wasnt too late to try out my fiendish idea and since I was blessed with a bout of gastric flu last week that left me on a diet of rich tea biscuits for several days (a poor substitute for the South African Marie biscuit but I had to make do), I thought I deserved a treat to celebrate my return to normal food. Preheat the oven to 180°C and line a muffin tin with paper liners. In a small bowl, mix together flour,spices, baking powder and salt. In a large bowl, cream together sugar and butter and then add eggs, one at a time, beating well after each addition. Alternately beat in flour mixture and milk in three batches, beating until smooth. Pour the batter into the paper liners and bake for 25 to 30 minutes until golden brown and a skewer comes out clean. Cool on a wire rack. Boil sugar and water over heat to soft ball stage (120°C). Meanwhile beat egg whites to stiff peaks in a large bowl. Slowly pour syrup into egg whites beating constantly and then beat until smooth and stiff enough to spread (the bowl should no longer feel hot). 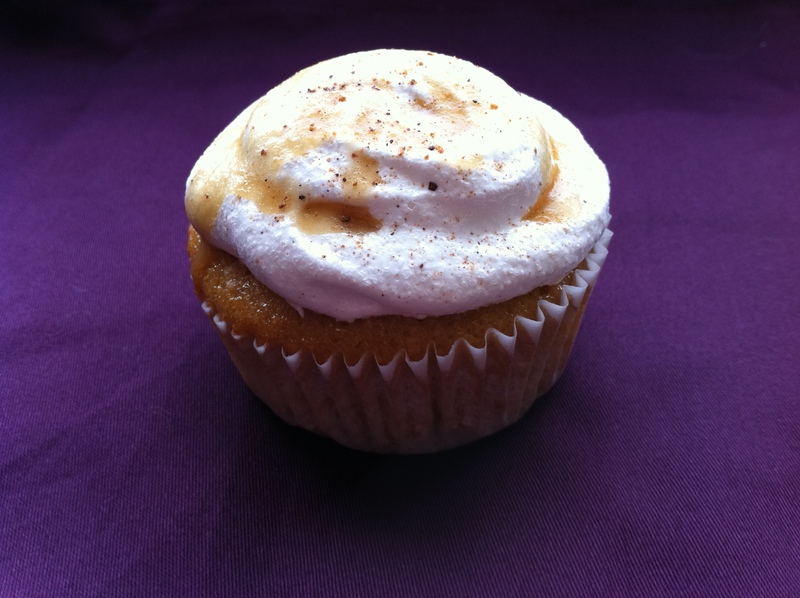 Pipe onto the cupcakes and drizzle with caramel sauce (for the recipe see my last post). Sprinkle with a pinch of nutmeg and serve! So Christmas was a success, more or less anyway. Creamy Pea Soup and Prawn Cocktail with melba toast to start, one Citrus Butter Turkey and all the trimmings, and finally boozy (and I do mean boozy) Grand Marnier Chocolate Mousse topped with Spicy Cocoa Biscuits. All prepared and served to guinea pig family with no adverse effects (besides the adverse effects of eating a three course meal only a few hours after polishing off a proper salmon and scrambled egg breakfast, several Bucks fizz and an Apricot Queen), although I was still disappointed that despite all my efforts of butter under its skin and a white wine bath it was still on the dry side so that will need some tweaking and practising but not bad for a first attempt. 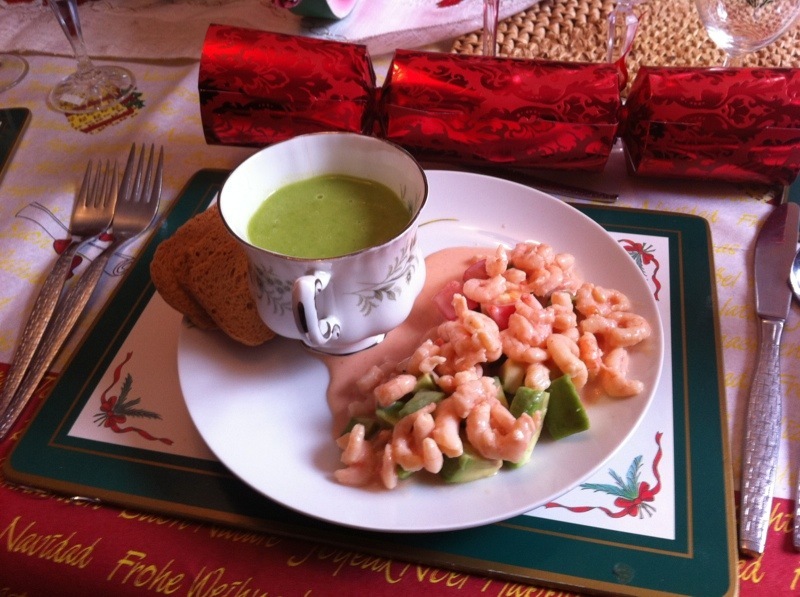 Its a little late to share all the recipes with you as I’m sure you need 12 months to recover before you even contemplate another Christmas dinner but since the theme of this post is a little break from all the decadence before new year finishes us off, I decided I would give you the pea soup recipe (at the end of this post) as it was definitely a keeper. It works really well as a little side with a prawn cocktail but a big bowl and some crusty soup would be just as good as a simple healthy meal on its own. The creaminess comes from adding half a can of coconut milk which isn’t exactly low fat (I did use the light version though) but definitely feels lighter than cream and has a much fresher, less cloying taste. 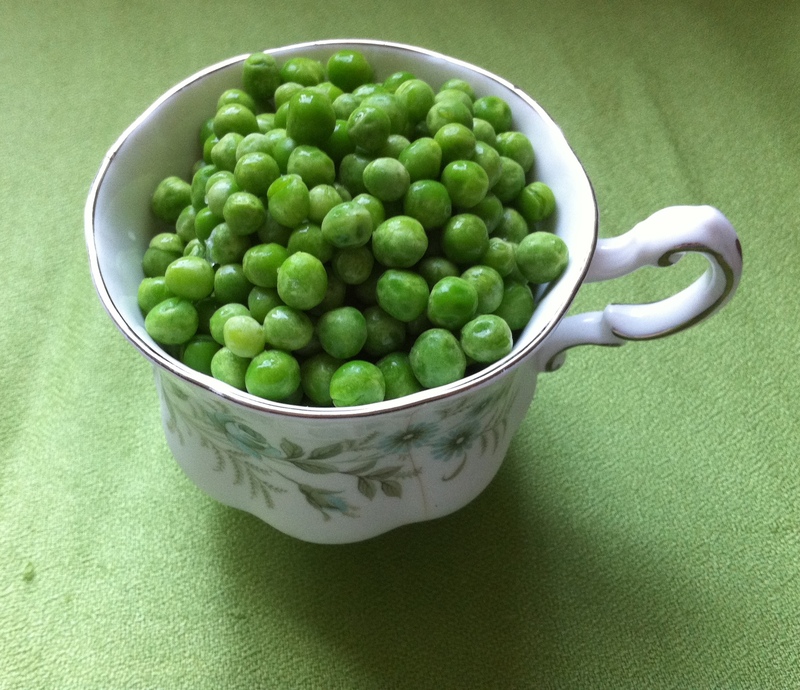 You could add chilli or different spices as well but I quite like the full and unadorned pea flavour and brilliant green colour. Despite a brief pea soup respite, after three days of drinking and eating I had to give my poor body a chance to get back on the band wagon before I bludgeon it over the head with a bottle or six of champagne so this week I raided the healthy end of the store cupboard and made up a couple of new granola recipes in an attempt to restore normality. Dark chocolate and chilli granola might not sound like normality but trust me it works. I got the most brilliant cookbook for my last birthday, The Flavour Thesaurus by Niki Segnit. It gives you suggestions for flavour combinations by grouping ingredients into flavour families and it’s so useful when you are trying to come up with a recipe or use up ingredients and cant decide what to pair them with. Some of the pairings like chilli and chocolate are more common but I’ve learnt some unlikely new ones or finally found an explanation for why some things work together. This granola recipe is great because apart from barely requiring any cooking at all, you can add anything you want to the basic granola to make different versions and you can actually try the raw ingredients rather than having to cook them first and hope for the best. I developed these combinations by tasting bits of fruit, chocolate and spices before I started to see what works the best. I was originally going to put cinnamon in with the white chocolate and cranberry but nutmeg was just perfect because the nutmeg adds a fresh balance to the extreme sweetness of white chocolate (think about what it does for a creamy white sauce). The ginger in the dark chocolate version is another classic pairing which adds a second gentle heat behind the chilli and brings out the orange flavour from the zest grated into the oats. Anyway I’m getting a bit scientific about granola. Here are the recipes, enjoy the rest of your holidays and I hope you have a wonderful New Year! If you are making both of these at the same time then you can half the ingredients but I’ve given amounts for a full batch of each. Preheat the oven to 180°C. Combine the oats, nuts, seeds and spices in a large bowl. Melt the butter with the honey and add the grated orange zest. Stir into the oat mixture until the oats are properly coated. Spread over a baking tray lined with tin foil and bake for 15-20 min, stirring every 5 to 10 min so that the oats brown evenly. 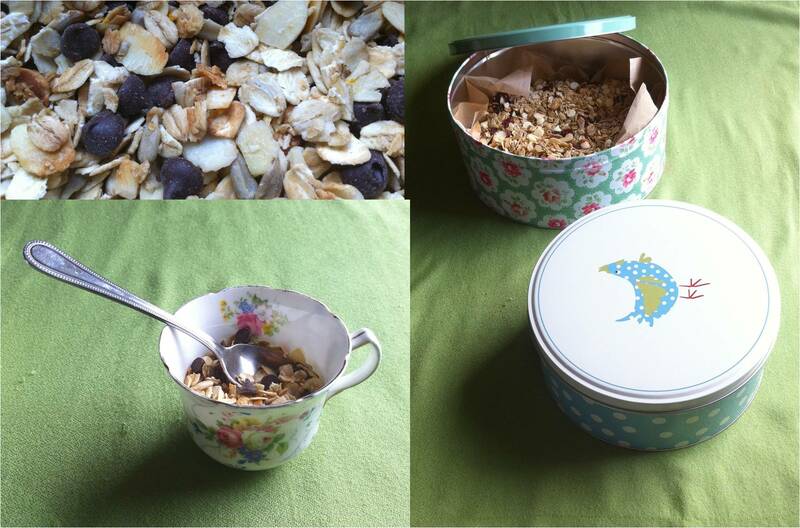 When toasted, remove the granola from the oven and allow it to cool completely before adding the chocolate chips and storing in an airtight container. Repeat as above, adding the white chocolate and cranberries once the granola has cooled.